Children from the Agape Family Center, 43 in all, participated in the 2017 Hispanic Outreach Clinic at Central Park in Atlantic Station. 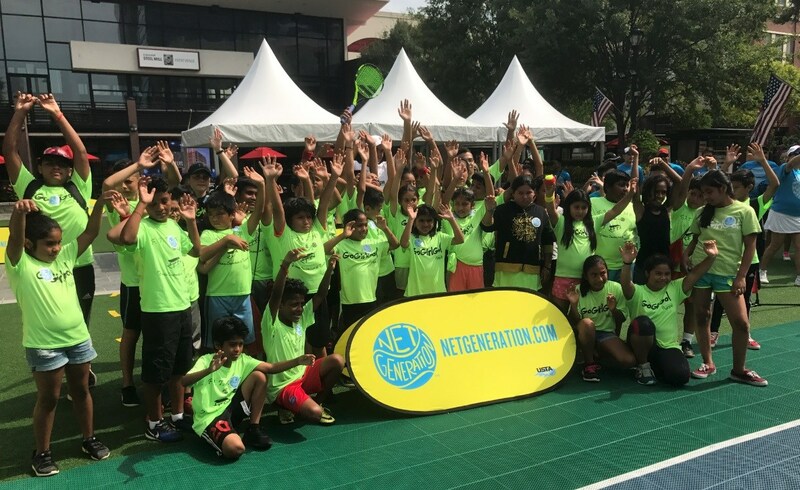 The event was part of the USTA Net Generation initiative, which encourages youth participation in tennis. Throughout the morning, kids were allowed to play on youth sized courts with local coaches, including Kennesaw State University men’s and women’s head tennis coach, Eduardo Rincon. ATP World Tour player, Ernesto Escobedo, also participated.